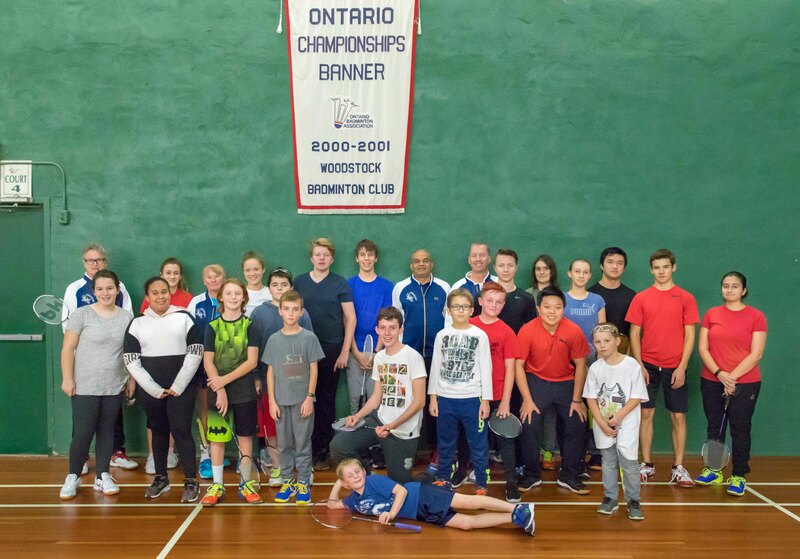 The Youth Program at the Woodstock Badminton Club is thriving! It is two months into the season and the athletes are showing some wonderful signs of progress. To date we have had two in-house tournaments and athletes that have competed at the Stratford Junior A and the North Bay Junior B tournaments – a great start to the season! Early team uniforms have arrived for those currently competing, with the rest slated to be ready in the next couple of weeks. Picture day (actually two days) was a huge success. A special thanks for Dan Peer for making this happen! The coaches and I are extremely proud of how well the athletes are progressing. Badminton is a very competitive sport and, unlike some sports, the competition is fierce because any tournament you play is a provincial level tournament, not just a local tournament. The tournament schedule is now set with lots of opportunities for competition taking place from January to April at the Junior B and Junior C level. Congratulations to Matt Wilker who made it to the semi finals in the consolations in North Bay this past weekend. Way to go Matt! Registration for the Skills Development Program and the High Performance Program open this Friday, December 7 and spots are limited so be sure to book as soon as registration opens before the spots fill up.